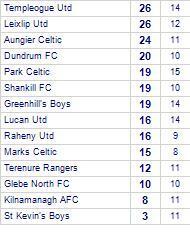 Glebe North FC claim victory against Kilnamanagh AFC. 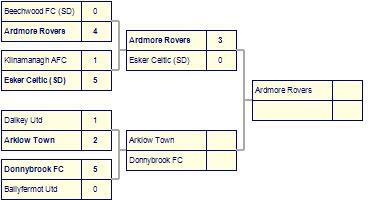 Ardmore Rovers beat Kilnamanagh AFC. 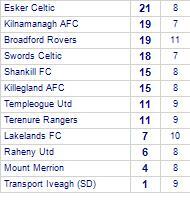 Shelbourne Academy share honours with Kilnamanagh AFC. 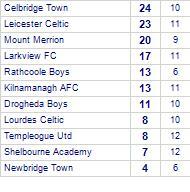 Shelbourne Academy has yet to win in this competition. 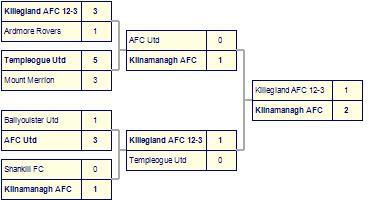 Kilnamanagh AFC have yet to win away from home. 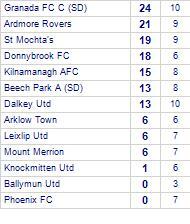 Kilnamanagh AFC despatch Phoenix FC. 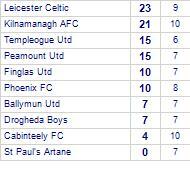 Phoenix FC have yet to win away from home. 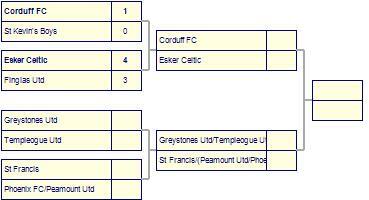 Esker Celtic beat Kilnamanagh AFC.